Do It With Digis is going wild, this week the theme is the Wild West, with the option of an added charm. The image I used for my card is from Paulette of Create with TLC and the lucky horseshoes are from The Digi Shack. Over at The Digi Doodle Shop's Best the challenge is to use Black and White. 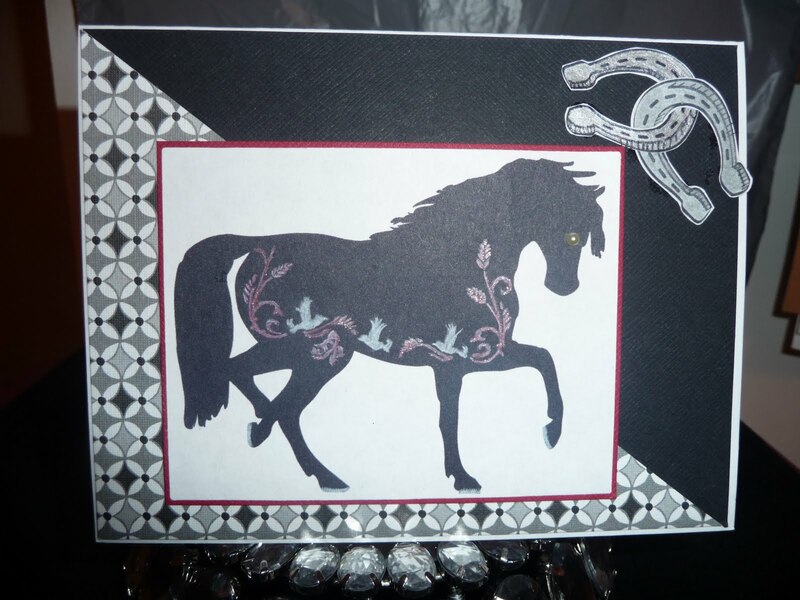 I used a white prismacolor pencil to highlight the hoofs and the birds on the horse and used a red starbust pen for the rest of the design on the body. What a gorgeous image and I love the layout. Thank you so much for joining us at Digi Doodle Shop's Best this week. Cool image! The horseshoes are fun. :-) Thanks so much for playing our challenge this week at Digi Doodle Shop's Best! I do like your card !! !